Immigration Reform passed the Senate on Thursday, June 27 by a vote of 68-32. It still has to go through committee and floor debate in the House of Representatives, reconciliation, and signing. Nevertheless, Jaensch Immigration Law Firm is already preparing in case the bill becomes law. Last year the firm established a Latin American Division, managed by Cesar Gomez, former director of the Gulf Coast Latin Chamber of Commerce, to expand ties and establish strategic partnerships with the local Latin American community. What’s more, over the last 6 months the firm has doubled its office space and increased staff by 20% with further increases planned. “Comprehensive Immigration Reform could change almost every aspect of the immigration system. It would create many new opportunities, not only for undocumented immigrants, but for investors, students, and workers as well,” says P. Christopher Jaensch, managing attorney of Jaensch Immigration Law Firm. “Such a sweeping change would create new demand for our services and we want to be ready to handle that,” he adds. The firm began disseminating information about the bill the moment it appeared. They created a new website that collects and displays the latest immigration reform news. They embarked on an informational campaign using emails, social media, and news articles. 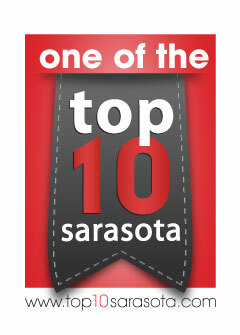 The campaign educates the Sarasota-Bradenton area about the possibilities that immigration reform would bring. Members of the firm traveled to Washington in April before the bill had entered the Senate. Victoria Jaensch Karins brought letters from Sarasota area employers and individual immigrants demonstrating the need for immigration reform. 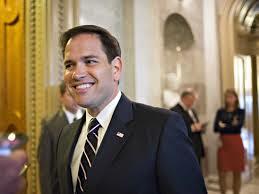 Soon after the Gang of Eight unveiled the legislation and submitted it to the Senate Judiciary Committee. The firm is conducting bi-lingual seminars in Manatee and Sarasota Counties, as well as Arcadia, to explain the provisions of the bill. They also created a fingerprint data collection center where individuals interested in obtaining information about their own criminal and immigration detention history can have their fingerprints taken and sent to the FBI for a records search. All those interested in learning the latest on the progress of immigration reform can do so on Jaensch Immigration Law Firm’s news blog, ImmigrationSarasota.com/ImmigrationReform. It doesn’t take long, upon meeting Sarasota immigrant and experienced sales associate John Gough (pronounced like “cough”), to realize that underneath his unassuming British modesty is an honest and intelligent man with an impressive career in international business behind him. 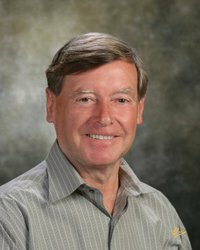 Mr. Gough worked for 40 years in the reinsurance market of the prestigious Lloyds of London as a broker and underwriting member. When he retired he decided to move to Florida, “because of the weather.” In addition there was the extremely reasonable cost of living and the fact that Mr. Gough is married to an American, a big advantage when it comes to navigating the US immigration system. That’s not to say that foreigners with non-American spouses can’t successfully relocate to the US. They most definitely can, and Mr. Gough is here to help. 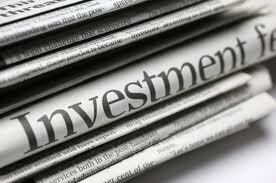 Mr. Gough negotiates the sale and purchase of the assets of businesses. Because of his background he specializes in helping UK buyers find a new life in Florida. A UK citizen, with the money made from selling their house and/or business, can usually afford a modest house AND a business in the US. Buying a business is the key, not only to a steady income in a new country, but also to the ability to stay in the US long-term. Buying a business in the US can allow immigrants to obtain investor visas such as the E-2 and EB-5. Mr. Gough reports, anecdotally, that the majority of foreigners looking to buy a business in Florida are British. The biggest difference, he says, between foreign buyers and American buyers is that foreign buyers are more committed and often come with cash. The British tend to buy businesses in the $100-$500K price range that are relatively simple to manage such as franchises, cleaning services, landscaping, and pool service companies. Usually, a foreign buyer finds a business in Florida through a listing service. The buyer contacts Mr. Gough for more information and an initial conversation ensues over the phone and/or via email. Next, the buyer visits Florida to look at the business. At this point Mr. Gough has the buyer sign a non-disclosure agreement – confidentiality is very important in brokering the sale of a business. Mr. Gough then looks into the buyer’s background and takes them to meet with the seller of the business(es) that most suit the buyer’s needs. Once the buyer makes an offer the money is put in escrow while the buyer receives in-depth financial information about the business and performs the due diligence. When both parties close the money is released to the seller. Mr. Gough has brokered many successful sales in this manner over the years. One of the stories Mr. Gough often tells is of the time he was contacted by Sky TV. The British channel was producing a program that followed a UK couple through the process of buying a business in Florida. Sky TV wanted to show a business that Mr. Gough had listed; a kayaking business. So Mr. Gough took everyone out kayaking on Sarasota Bay, TV crew and all. Another young couple who saw the program contacted Mr. Gough, purchased the business, and have been running it successfully ever since. Mr. Gough’s most important piece of advice for would-be business owners and sellers is keep good books. Mr. Gough can be contacted via his cell phone: 941-685-1516 or email: jrgough@aol.com or through his company’s website: http://www.waughandcompany.com/. When you talk to him be sure to ask him about his adventures setting up the Chinese reinsurance industry in 1975. Immigrating from Brazil to Sarasota through many twists and turns, Teresa Witte is now a dedicated Realtor after working for developers for the past 20 years. What’s more she is on the cusp of obtaining a new degree! Teresa was born in Sao Paulo and raised between there and Rio de Janeiro, Brazil. She worked for the Holland-based KLM Airline where she began to learn English. Wanting more and realizing that improving her English would greatly enhance her ability to advance into management, she decided to spend some time studying English in the United States. She moved to Miami where she was taking classes in English when she met her husband-to-be. Mr. Witte is an architect and suggested that Teresa go into real estate. With her ability to act as a bridge between Brazil and the US through her language skills and her naturally vivacious personality, it seemed like a good fit. It turned out to be an excellent fit. 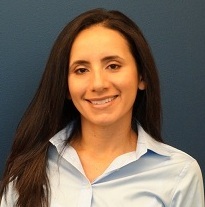 Teresa excelled at being a real estate agent, specializing in helping Brazilians acquire property in Florida. She started in 1996, work for The Point of Aventura, Aventura Florida, with her main focus on promoting luxury condos for Brazilians. This was before mobile devices like smartphones and tablets were so ubiquitous. One story that is illustrative of her work ethic recounts the time she flew to Brazil on a moment’s notice in order to close a deal with 1 client. Without access to a computer she had to write out the contract by hand. She returned home with a signed handwritten contract, triumphant. Teresa understands that true advancement in the US comes through education. She had obtained a degree in Journalism in Brazil and, as her career solidified, she began taking journalism courses at FAU in pursuit of a bachelor’s degree. Teresa was 2 credits away from obtaining her degree when the real estate market crashed. Unfortunately the developer she was working for went bankrupt and she, along with all the other employees, was let go. Things turned even worse when her husband, an architect, lost his job as well. Never out of work because of her bilingual and intercultural skills, Teresa found an opportunity with a builder on the West Coast of Florida. Although she and her husband had a house on the East Coast she took the job and shuttled back and forth for a year. Eventually the family reunited on the West Coast and her husband found a new job. Today Teresa is a dual Brazilian-American citizen, having obtained her citizenship over 12 years ago, and works for Platinum Realty, a franchise of Re-max, as the Manager of the Global New Homes Sales Division. She still specializes in assisting international buyers find the right property in Florida. This year Remax Platinum is planning to attend 3 international trade shows; 2 in Brazil and 1 in Germany. Teresa enjoys working with Brazilians because she understands their business-oriented focus and can-do attitude. She knows that Brazilians are always interested in improving their station in life through education and hard work. The words she uses to describe Brazilians are: entrepreneurial, singular, focused, outstanding, and determined. She might as well be speaking about herself. With her family reunited in Sarasota and renewed success at work Teresa returned to school. She plans on graduating this summer with a new Bachelor’s degree. We wish her all the best. To read Teresa Witte’s Bio click the link. To contact Teresa call: 941-302-2585. In our ongoing effort to better serve our clients Jaensch Immigration Law Firm recently acquired Fingerprint Equipment. This will allow clients to have their fingerprints taken conveniently and privately without having to travel to another location. Clients may need to have fingerprints taken for any number of reasons. For those who may have criminal records, getting fingerprints is recommended in order to obtain their law enforcement record. Those who may have entered without inspection should also get their fingerprints taken so that the details of their immigration history are known to them, and so that an immigration attorney can review their history with them, to help determine eligibility for potential benefits. Getting fingerprints is most important for those who wish to begin preparing a case for the potential path to legalization. Anyone who wishes to apply for legalization should know their full record with law enforcement, including from outside Sarasota County, before they apply. We will be taking fingerprints in our annex, conveniently located across the parking lot. We will submit the fingerprints to the FBI. Clients do not have to use their personal address, we can use ours. It takes 4-5 months to get the report back. We hope that this new equipment becomes a useful and convenient way for any client who needs their fingerprints taken to do so quickly and privately. CBO: Senate immigration bill would cut deficits by $200 billion over decade. “The immigration bill under consideration in the Senate would reduce federal deficits by nearly $200 billion over the next decade, and continue generating savings in the years beyond, even after millions of new citizens became eligible for health-care and welfare benefits, congressional budget analysts said Tuesday. The long-awaited report by the nonpartisan Congressional Budget Office marked a major victory for the bipartisan “Gang of Eight” senators who have spent months negotiating the details of the measure.” Lori Montgomery in The Washington Post. …Here are the key numbers. “While the bill increases spending by $262 billion over 10 years, it increases revenue by $459 billion, for a deficit reduction of $197 billion in total. Additionally, it projects $690 billion in deficit reduction in the second decade of implementation, from 2024 to 2033. The reports predicts that the bill will add 10.4 million permanent U.S. residents and 1.6 million new temporary visa-holders, and reduce the undocumented immigrant population by 1.6 million.” Dylan Matthews in The Washington Post. @petersuderman: CBO estimates that the immigration bill will cut deficits by $197b over 10 years. Basically: More legal labor=more revenue=lower deficits. …It’s a free lunch, the CBO is saying. “This isn’t just a good CBO report. It’s a wildly good CBO report. They’re basically saying immigration reform is a free lunch: It cuts the deficit by growing the economy. It makes Americans better off and it makes immigrants better off. At a time when the U.S. economy desperately needs a bit of help, this bill, according to the CBO, helps. And politically, it forces opponents of the bill onto the ground they’re least comfortable occupying: They have to argue that immigration reform is bad for cultural or ethical reasons rather than economic ones.” Ezra Klein in The Washington Post. @reihan: CBO analysis accounts for population increase, but not potential productivity gains. It also doesn’t account for technological risk. 2 amendments to immigration bill passed, 2 defeated. “Sen. Mary Landrieu (D-La. ): The senator has several proposals regarding non-native children adopted by American parents, a longtime interest of hers. Under a 2000 law, children lawfully adopted by American parents are automatically granted citizenship. Landrieu’s amendment would extend those rights to children who turned 18 before the law was passed.” Ed O’Keefe in The Washington Post. House panel approves enforcement-based immigration bill. “The House Judiciary Committee late Tuesday approved its first immigration bill, advancing on a party-line vote a proposal to boost interior enforcement and border security. After a day-long mark-up, the Republican-led panel cleared the SAFE Act on a 20-15 vote shortly before 11 p.m. It is one of several bills that Chairman Bob Goodlatte (R-Va.) says the committee plans to send to the House floor in the coming weeks.” Russell Berman in The Hill. @dylanmatt: The CBO report is a good reminder that the case against expanded immigration isn’t economic, it’s sociological. Reid: Bill could pass Senate right now. “Senate Majority Leader Harry Reid said the Gang of Eight’s immigration bill can pass the Senate in its current form, although he’s open to border security changes that don’t destroy the bill’s pathway to citizenship for undocumented immigrants…As Reid spoke to reporters on Tuesday afternoon, Republican senators like John Hoeven (N.D.) and Bob Corker (Tenn.) were working with some members of the Gang of Eight to craft a way to strengthen the bill’s border security measures while also not turning off Democrats.” Burgess Everett in Politico. …And Reid is threatening to file cloture on immigration reform. “The Senate must speed ahead on its attempt to remake U.S. immigration policy, Majority Leader Harry Reid said Tuesday morning, threatening to file to cut off debate by Monday. Reid said the workload for the Senate will be heavier than usual and that if the Senate doesn’t get to work on agreement on tranches of amendment votes, it will find itself working on the weekend — a familiar threat from the Nevada Democrat. Reid hopes to finish the legislation before the July 4 recess.” Burgess Everett in Politico. Boehner assures colleagues: No immigration bill without majority GOP support. “The fate of the sprawling immigration reform proposal winding its way through Congress may now be in the hands of some of the most conservative members of the Republican Party. House Speaker John A. Boehner (R-Ohio) said Tuesday that he will not advance any bill that did not have the support of a majority of the House GOP, which will mean engaging some of the proposal’s biggest detractors and harshest critics.” Ed O’Keefe in The Washington Post. …And he says he’s not in favor of a comprehensive approach to immigration reform. “Speaker John Boehner (R-Ohio) said Tuesday that he will adhere to the “Hastert Rule” on immigration reform and denied claims that he is for a “comprehensive” solution. Boehner’s remarks seek to appease conservatives who have grown increasingly restless about where House Republicans are headed on the thorny matter.” Molly K. Hooper in The Hill. Keeping undocumented immigrants off the dole is easier said than done. “[T]he conflicts over eligibility for Obamacare subsidies and Social Security/Medicare could be more intractable. The question of whether unauthorized immigrants should be able to get public money for health care, or get retirement money based on work they did while in the country illegally, isn’t a technical one. It’s a moral and ethical one on which those concerned primarily with the welfare of poor immigrants and those concerned primarily with ensuring that legal processes are fair and don’t reward certain behavior, are bound to disagree.” Dylan Matthews in The Washington Post. On June 11th, the U.S. Senate voted to move the “Border Security, Economic Opportunity, and Immigration Modernization Act” (S. 744), the comprehensive immigration reform bill drafted by the “Gang of Eight,” to the floor for debate, where it is expected to face dozens of amendments in the coming weeks. The final vote to begin debate on the landmark legislation was 84 in favor and 15 against. Sen John Cornyn (R-TX, Minority Whip) introduces “RESULTS” amendment which would have strengthened border security. It is eventually opposed and dropped. Mayor Bloomberg announces support for immigration reform for students. John Boehner and Marco Rubio met to discuss reform last week. The divide between the Republican Party on immigration reform was highlighted on Friday during the annual Faith and Freedom conference in Washington, D.C.
Former Florida Gov. Jeb Bush argued for immigration reform, stating that more legal immigration would add to the American workforce and create more revenues from payroll taxes. However, U.S. Rep. Michelle Bachmann, R-Minn., argued at the same meeting that passing the immigration package currently on the table would be a mistake. Meanwhile, on Saturday, the Obama administration celebrated the one-year mark of the Deferred Action announcement, an executive order that announced that thousands of undocumented youths would be allowed to stay and work in the U.S. if they met certain requirements. These newly-released USCIS statistics on DACA cases from August 15, 2012 to May 31, 2013 indicate a decline in DACA applications; the statistics show 520,157 DACA applications accepted for processing, 507,301 biometric services appointments scheduled, 365,237 requests approved, and 3,816 requests denied. The Comprehensive Immigration Reform Bill (S. 744, “The Border Security, Economic Opportunity, and Immigration Modernization Act,”) could overhaul the entire immigration system. It could accelerate current Green Card applications, increase options for immigrant workers, investors, and entrepreneurs. It could enable immigrant students to obtain green cards upon completion of certain courses of study. It could create a path to legalization and citizenship for this nation’s 11 million undocumented immigrants. In both tiers employment history will play the biggest role, followed by education. This system seeks to attract the best and brightest to our shores, those who can contribute immediately to our economy. It seeks to discourage “chain migration” by downplaying family ties. Immigration Reform would eliminate the diversity visa, the green card lottery that the US government holds every year. Through the lottery, 50,000 green cards are given to applicants from countries with less than 5,000 immigrants from the previous year. The program was designed to increase diversity in our immigration system and adjust for the large numbers of immigrants that come from over-represented countries. The merit-based system would partially replace this system as well as the allowance for siblings of US citizens to apply for family-sponsored visas. The biggest advantage of the merit-based system would go to legal immigrants who are already working in the US. Immigrants who currently hold an E-1, E-2, L-1, H-1B or other similar working visa do not have a clear path to a permanent visa. These visas are temporary and the immigrant must re-qualify from scratch every time they wish to renew; previous successful renewals and time spent in the country are not taken into account. This creates quite a bit of uncertainty. A Merit-Based Visa would create a direct path to a permanent visa for such people. Mary Garcia did not speak English when she arrived in Sarasota as a child with her mother. She worked hard at Booker High School to master the language and get into college. After studying two years at SCF, she transferred to the University of Florida to work on her Bachelor’s degree. She likes to tackle her challenges head-on and when she went to UF, she decided to major in English. From early on, she knew she wanted to aid the immigrant community and during her college years in Gainesville, she volunteered and taught English as a Second Language to migrant workers. After college, she worked at Jaensch Immigration Law Firm. During this time, she also discovered a passion for business and accounting. While working full-time, she took accounting courses at USF and earned a Bachelor’s degree in Accounting. Her personal connection to immigrant issues and the earned experience while working at Jaensch and other accounting organizations, ultimately helped her land her dream job. Through tenacity and persistence, she earned a position working for the largest accounting firm in town. As an In-Charge Accountant at Kerkering Barberio, Mary now helps other immigrants with their accounting and tax issues. The International Taxation Team of Kerkering Barberio offers unparalleled experience in the highly complex and increasingly regulated area of taxation of non-citizens and non-resident aliens. We have a wealth of experience providing consulting and compliance services to our clients and business associates who are looking for a responsive, local source for advice in this complex area. Mary is currently pursuing her CPA designation and living her career goal of assisting Sarasota’s immigrants with accounting and tax issues. You can find her in the offices of Kerkering Barberio or contact her via email: MGarcia@kbgrp.com. USCIS released a memorandum on EB-5 Investor Visa adjudications recently which reviews many important points about the program and provides updates on certain procedures. The EB-5 program will be 23 years old this year. Congress passed it to create an incentive for wealthy foreigners to invest and create jobs in the US. Investors contribute $1 million dollars or more and are placed in conditional permanent (Green Card) resident status for 2 years. If, at the end of 2 years, the immigrant-investor meets the requirements of the EB-5 program, they can obtain unconditional lawful permanent resident status. In 1993 Congress amended the law to allow for Regional Centers. These are investment projects where immigrants can pool their money and the center is responsible for creating the jobs. 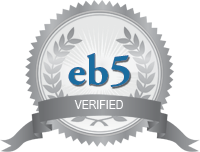 USCIS adjudicates EB-5 cases according to the preponderance of evidence standard of proof. As opposed to the “clear and convincing” and “beyond a reasonable doubt” standards that apply in other legal matters, preponderance of evidence merely requires that the applicant show that what they claim is more likely to be so than not so. If the applicant submits enough evidence to prove that what they claim is more likely than not or probably true, then they will satisfy the standard of proof. Every step must be documented and requires a preponderance of evidence in order to be met satisfactorily. Form I-526 must be filed with the evidence documenting the immigrant’s investment in a new commercial enterprise. Read the entire USCIS Memo on EB-5 Adjudication by clicking the link. First, The House of Representatives in Washington voted Wednesday to “defund” the DACA (Deferred Action for Childhood Arrivals). It means the House wanted to not make money available for the DACA program. While this sounds very alarming in reality it is a symbolic gesture. DACA is not funded separately, so funds cannot be taken away. The Republican-controlled House wanted to show that they oppose President Obama’s program to allow young undocumented immigrants – the so-called “Dreamers” – to live and work in the U.S. The Republicans want to stall the Government’s DACA program and want Congress to vote on the controversy of allowing illegals to become legal. Any cancellation of DACA would require approval in the House and the Democrat-controlled Senate as well as the President’s signature, an unlikely prospect. So, the House vote has no effect on DACA at the moment. And the rumor that Dreamers will be deported is also nothing more than a rumor and very unlikely to happen. Second, Governor Scott last Tuesday vetoed a law to go into effect that would allow DACA applicants to obtain driver’s licenses. The Florida legislature almost unanimously had voted for the bill but Gov. Scott used his authority to not put the law into effect. The Governor said in his veto message that he rejected the President’s policy of creating DACA with his own policy power without having the force of law. In the meantime, those DACA applicants who have been approved and have their work authorization will continue to obtain driver’s licenses and their current one remains valid.